The Parisian owner, who brought many French pieces and ideas to this apartment in Madrid, retains a balance between feminine and masculine. The interior designer, Sabine Marchal, paired classic comfort with glamorous touches of lucite and metal – très chic. The bed is framed by two dark columns. The tables lamps are by Maca Muñoz Victoriana Decoracion. French graffiti artist, Miss Van, breaks the formal tone of the bedroom. “Painting on walls was a way to show that I was boycotting the conventional art world,” Miss Van explains. 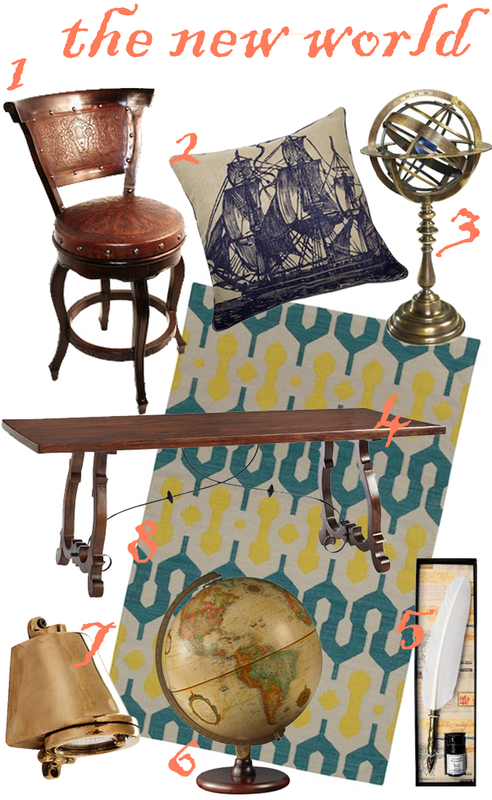 The high-brow, Gothic den is also playful. The carpet, Dolz Collection, and chairs, LA Studio, eggplant velvet Gancedo, complete a set of glossy and dramatic aubergine. 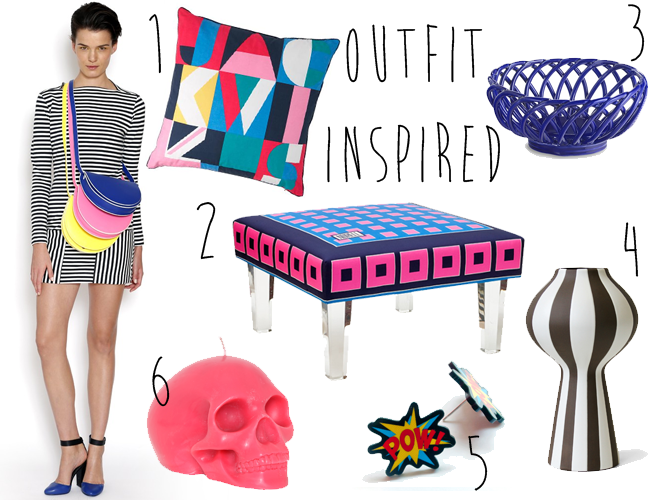 Image via Nuevo Estilo. One day last week, my fiance and I were trolling the interwebs hoping to find last minute package vacation deals. We were both frazzled from wedding planning and what seemed like a never-ending series of house guests. Seeing the promise of a three-day weekend (thank you President’s Day), we pressed the “purchase” button for the best rate we could find to a country whose average temperatures was in the tropical range. We escaped the snow in New York City and hopped aboard an airplane. 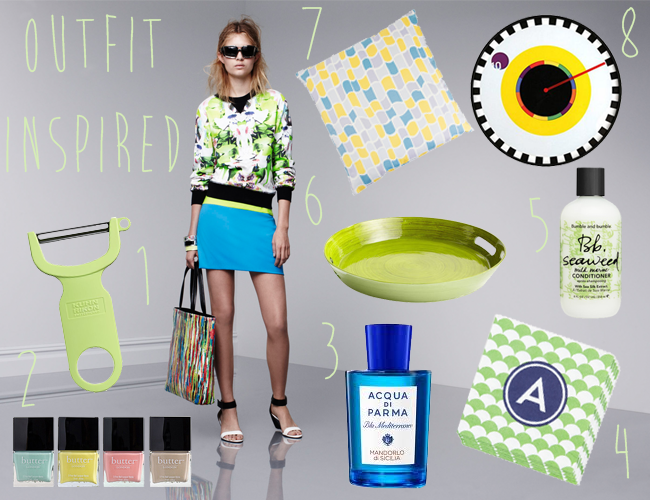 Viva spontaneity! 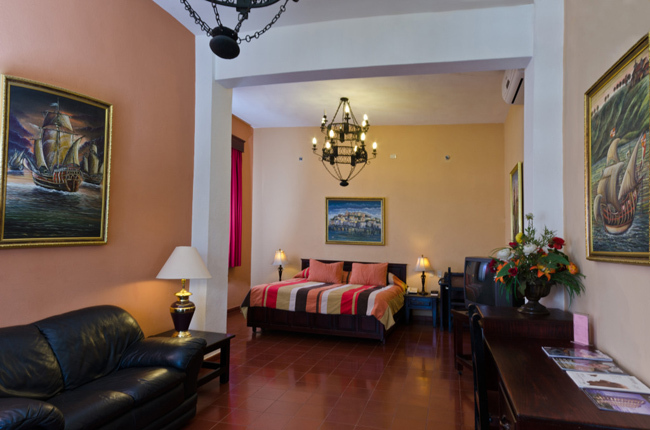 We stayed in the Boutique Hotel Palacio, a 44 room converted villa in the Zona Colonial (Colonial Zone) of the Dominican Republic in Santo Domingo. The property, was the old residence of Buenaventura Báez a politician who served five terms as president of the Dominican Republic and is noted principally for his attempts to have the United States annex his country. It seems that Mr. Buenaventura Baez himself never lived in this house although he was the owner, but his sons and grandchildren did. One of them was Dr. Ramón Baez, who was born in Mayagüez, Puerto Rico and elected president of the Dominican Republic from the 27th of August till 15th of December 1914. 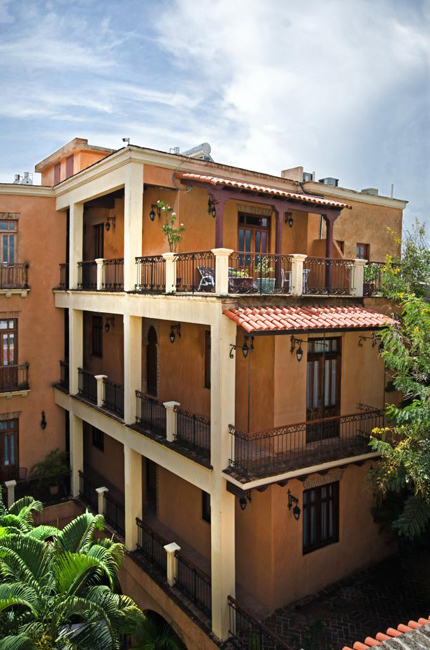 Bursting with Spanish Colonial architecture, the small hotel is only steps from El Conde, the main drag in the old city. 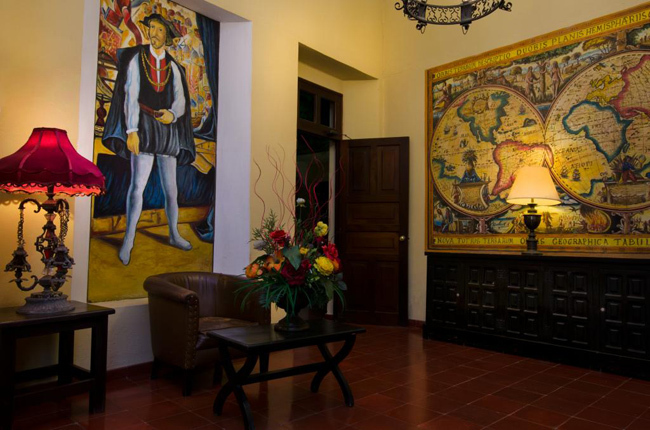 The hotel itself has a wonderful Moorish design with colonial Spanish accents, a prince example of villas of the time period. 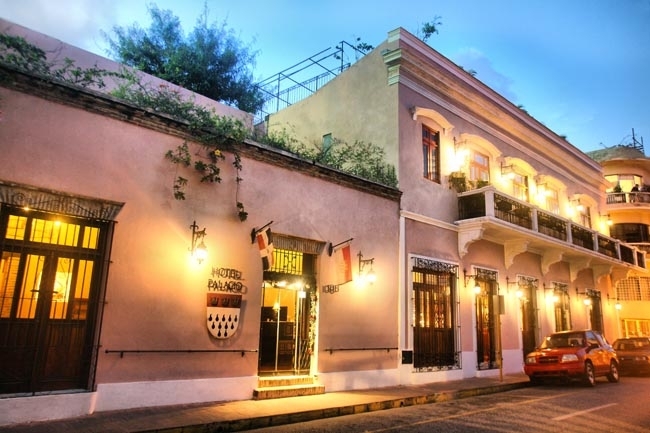 Believe it or not, the building itself is considered “new” in the Zona Colonial where many buildings remain etched from Coral Reef Stone from the 16th century. 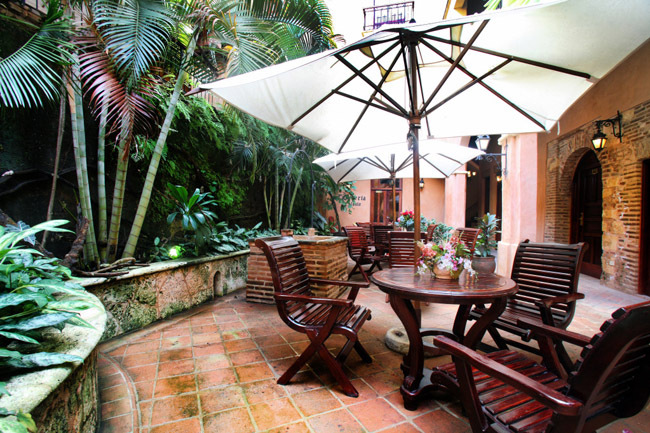 There is a marvelous central courtyard with tables and umbrellas where one can dine, observe an old well, and view local birds. 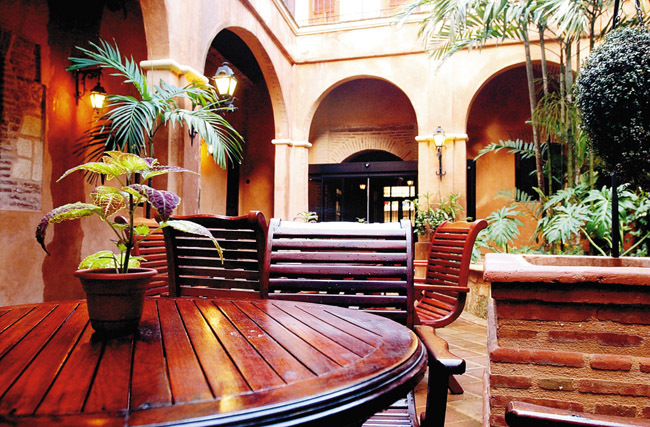 There are a couple of different anterooms, and smaller courtyards which are charmingly appointed. Knowing almost nothing about this Caribbean nation, but loving history, Michael and I embarked on a haphazard, spontaneous and eye-opening adventure. 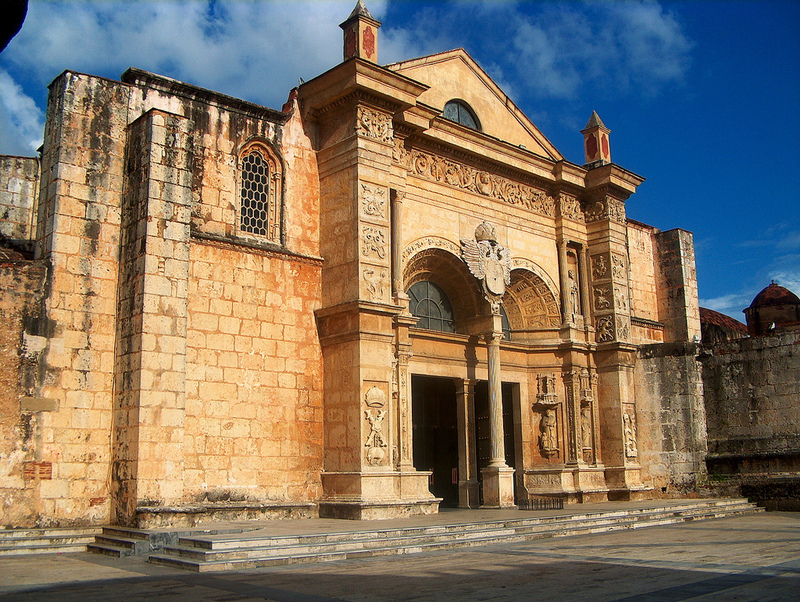 We happened upon the first Cathedral in the Americas, the first hospital in the New World (San Nicolás de Bari), and unique native histories. 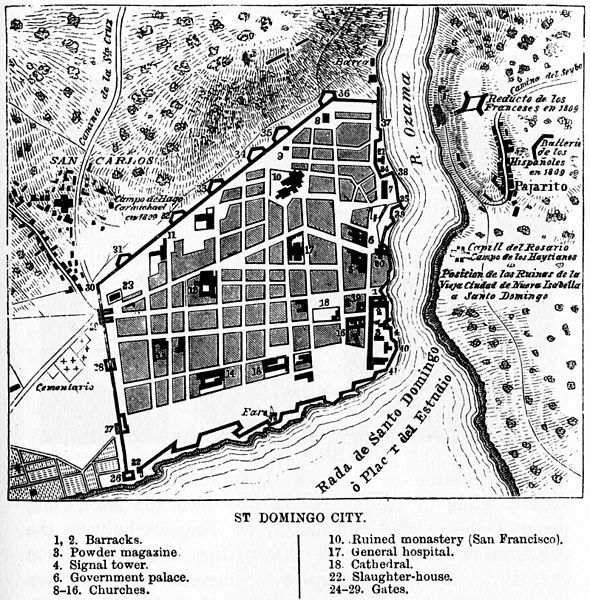 When Columbus first landed on the shores of this island, the Arawaks called it Haiti, signifying “high ground,” but the western portion was also called Babeque or Bohio, meaning “land of gold” and the eastern part Quisqueya, meaning “mother of the earth.” The name Quisqueya is the one by which Dominican poets now refer to their country. 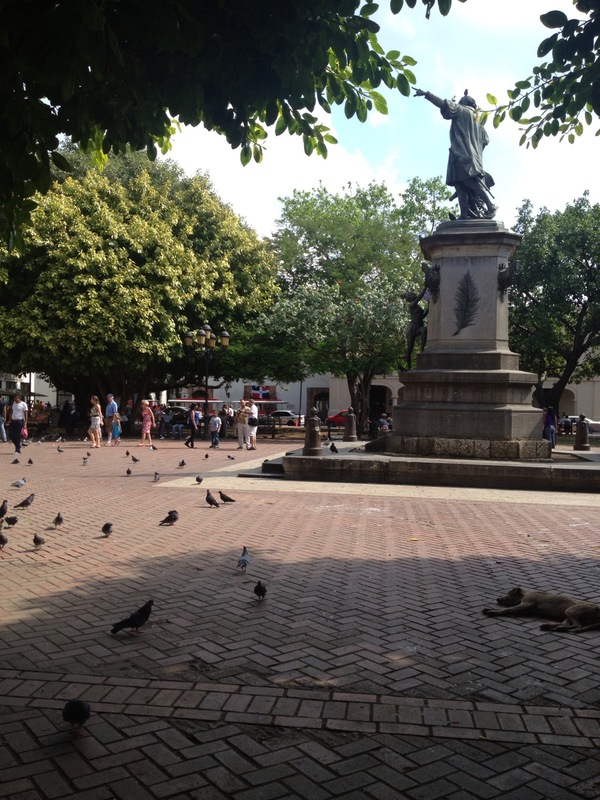 Ciudad Colonial is the oldest permanent European settlement of the New World. It has been declared a World Heritage Site by UNESCO. The Spaniards used this settlement as the first point of influence in the Americas, from which they conquered other Caribbean islands and much of the American mainland. 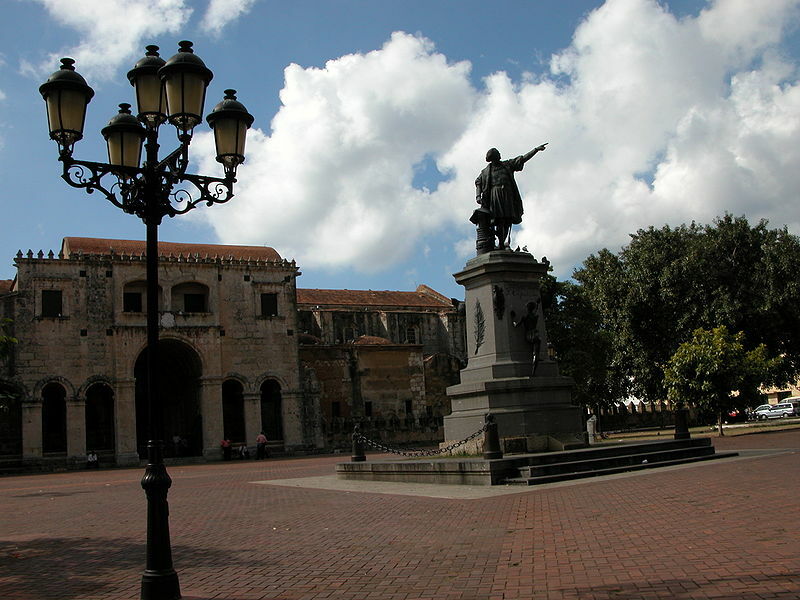 Santo Domingo was initially the political and cultural hub of Spanish presence in the new world, but after a few decades started to decline as the Spaniards focused their attention more on the mainland after conquering Mexico, Peru, and other regions of Latin America. Not only did we bring back many cigars, mamajauna and a new love of mofongo, we now also want to decorate are home like that of an explorer. 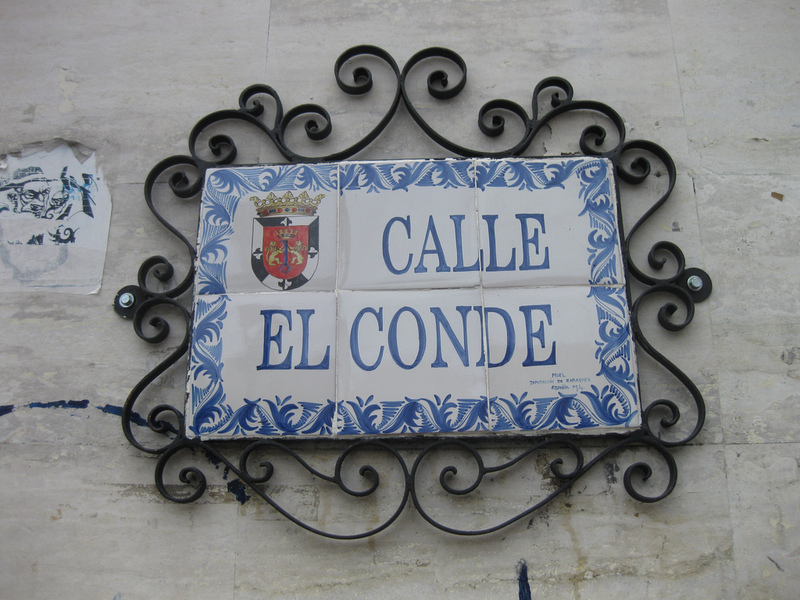 I don’t mean to romanticize conquistadors, the age of exploration, the spread of disease, and so forth – but I do love the typeface, arched masonry, wrought iron balustrades, styling and reserved grandeur of colonial villas.